Would you like to receive helpful info for teachers in your Facebook news feed? Please like our page: www.facebook.com/scoeti. Teacher participation in SCOE TI supports district and site goals through individualized growth opportunities. View an informational screencast from Marty Martinez, Director of SCOE Teacher Induction. Review the role of the site administrator in supporting new teachers. Have basic questions about becoming a teacher? 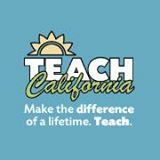 TEACH California has answers!